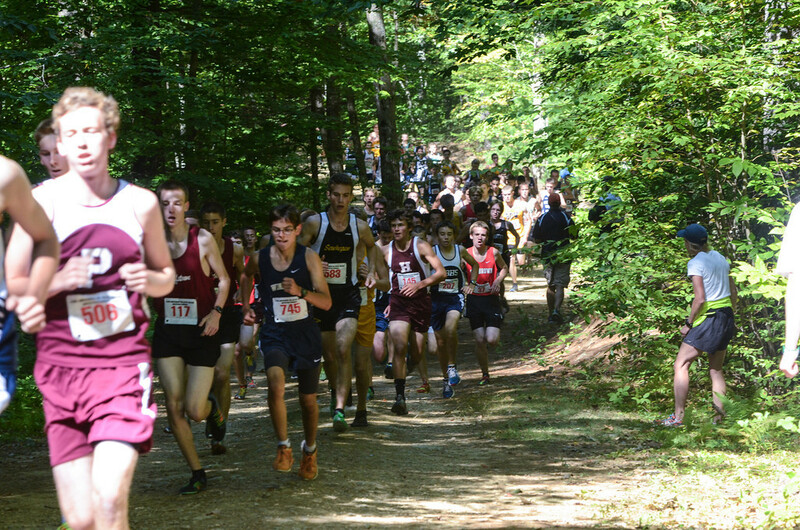 The 35th Belmont “Jeri Blair” Invitational will take place this Friday on the infamously tough Belmont HS cross country course. 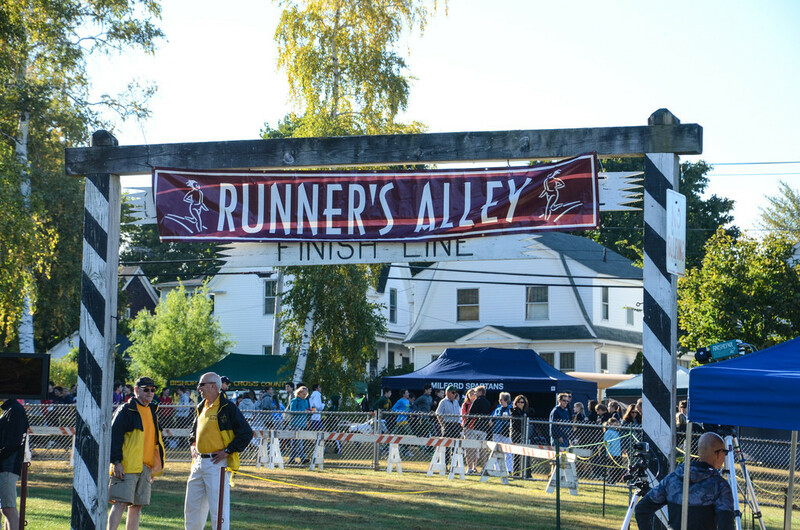 A double loop, that starts and finishes on the track, has a 350 meter long, undulating ,single-track hill that tests the athletes mettle, allowing for some epic races and serving as a primer for the challenging Derry field course to come two weeks later. Last year, the Merrimack Valley girls and the Mascenic boys were crowned champions, with Mascenic overthrown two weeks later by Kearsarge for the Divisional title. Merrimack Valley’s Kristie Schoffield and Inter-Lakes Cameron Daly were your individual winners. Looking to this year’s contest, it would be expected for Merrimack Valley girls to retain its title. However, with the addition of a couple of teams to the list of competitors, the tenor of the meet shifts significantly. Hanover (NH’s #7), coming southeast will be looking to upset the apple cart. The Lady Marauders finished 5th overall at Coe Brown’s Black Bear Invite, behind top ten teams Coe Brown ( #1), Bishop Guertin ( #2), and Bedford ( #6). This tips the balance in favor of the Hanover girls but MV won’t be looking to give the title away. Expect Kearsarge, Moultonborough and Hopkinton to round out the top 5. Individually expect for Kristie Schoffield to set the pace up front, followed by the top Hanover girls, Leila Trummer and Lucy Gluek, Mascenic’s Samantha Bilodeau and Madison Labrie, Conant’s Isabella Mormando, Peyton Giles of White Mountain and host school Belmont’s Alice Riley. 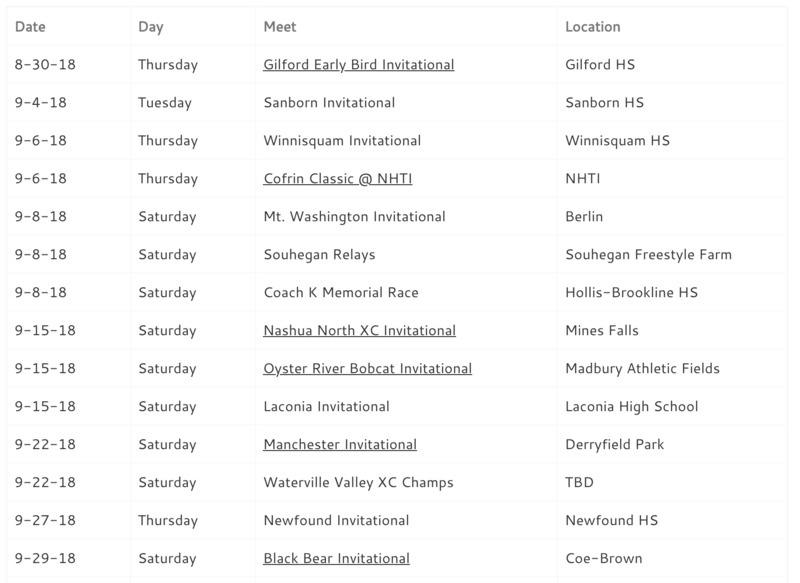 addition of Monadnock bringing together three of the top Division 3 teams, with Monadnock (#8) and Kearsarge (#9) and last year’s Division 3 runner up, Mascenic. Kearsarge would seem to have the nod here, but the Monadnock boys hit it out of the park at Manchester and had a good run the other day at the Hopkinton Homecoming. Kearsarge, solid through the top six or so, has been winning as well, claiming the Waterville Valley Invite and the Newfound Invite recently. Mascenic hasn’t been on the tear like they were last year, finishing only 8th at Coe-Brown’s Black Bear, but the team is beginning to gel around a solid nucleus that now has some solid championship experience. It will be interesting to see how things shake out when the dust settles Friday. After these three, expect the top five to be made of Derryfield, Hopkinton, Merrimack Valley, or possibly Moutlonborough. Individually, Mascenic’s Jake Movsessian is the top returner with InterLake’s Ian Daly next on paper. But with the Kearsarge upsurge and the Monadnock presence, expect the top ten to include some of the team members from Monadnock (Elmour, Adams, Hout) and Kearsarge (Cunningham, Benedict, Brooks). Especially dangerous is Monadnock’s James Elmour, and add the McLaughlin boys from Moutlonborough (Tyler and Dylan) making squeeking into the top ten a lot harder. Other names to keep an eye are Derryfield’s Ben Garfield, Lane Thompson of Sanborn, DJ Turner of Mascenic, and the Belmont boys of Nick Randos and Ian Remenar. The ladies race at 4PM with the men to follow at 4:45PM.